Used condoms and tampons could soon be offering a different form of protection after a team of Dutch students won a competition with their design for a ‘green roof’. The students were challenged to find a new use for waste products that get flushed into the sewage system, including sanitary towels and wipes. 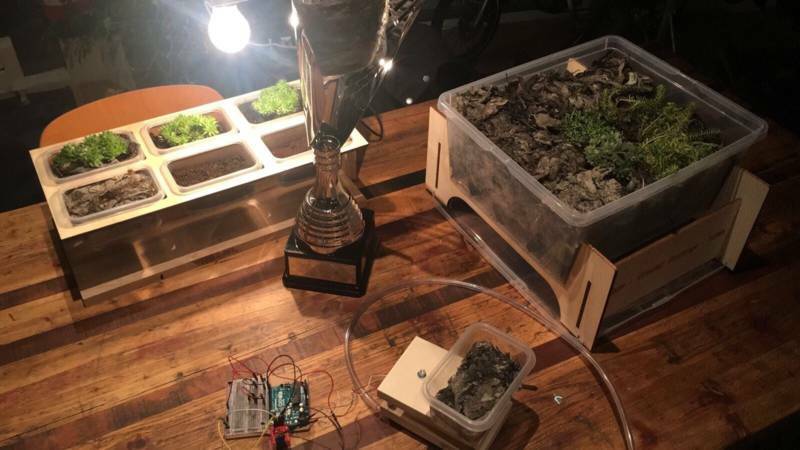 Their idea of compressing the waste and turning it into a waterproof layer to place underneath roof gardens won them the BlueCity Circular Challenge in Rotterdam. ‘We had to look at all the things people throw down the toilet even though they’re not supposed to,’ said one of the trio, 24-year-old Jelle Scharff. The mashed-down sanitary products are able to absorb large quantities of water while gaining relatively little weight, making them an ideal means of keeping buildings with green roofs dry. The compression process also eliminates unwanted odours, Scharff explained. The team won €5,000 to invest in their project and support with starting up a company to produce it. ‘The next stage is for us to test what the effects are. After that we plan to put it on the market as soon as possible. We see a lot of potential,’ he said.